I have a very vague recollection of today’s saint, Eleutherius, from some travels in Italy. A friend posted this sketch of a 6th century monk. Just to situate him: St Benedict died in 547. Some recent theological discussion in the Communio Study Circle about angels and demons leads me think more deeply about persons like Eleutherius. I doubt many people know much about Saint Aidan except surface level stuff. The name “Aidan” is a beautiful name and it carries with it the beauty of the best of Catholicism in Ireland and parts of England and Wales. 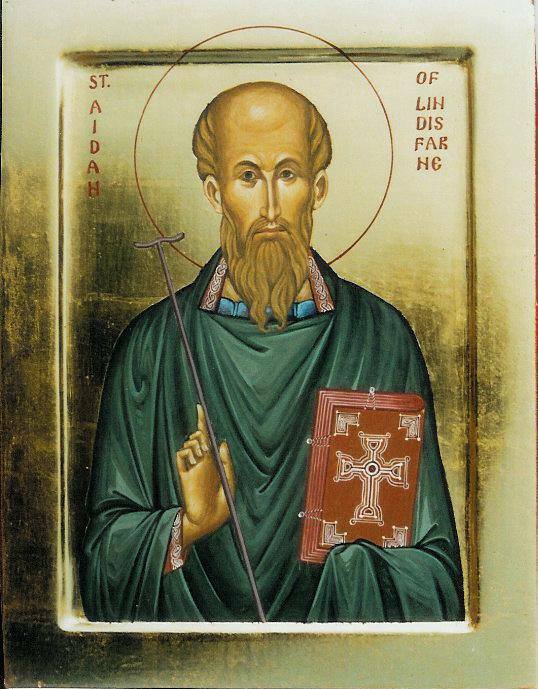 Saint Aidan was seeking someone great –he was truly seeking God. This seeking is the principle, the grammar by which we truly live the Faith. Saint Aidan, pray for Us! 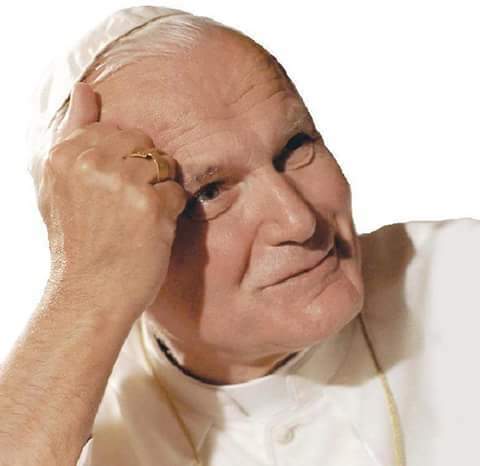 Blessed Feast of Pope Saint John Paul II! 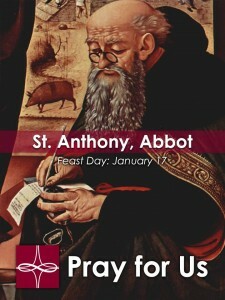 Today, the Church recalls the memory of Saint Antony, Abbot (251-356) ~ “Father of Monasticism”! The saint was born in Egypt: he listened to and then followed the words of the Gospel and gave all his material things to the poor. 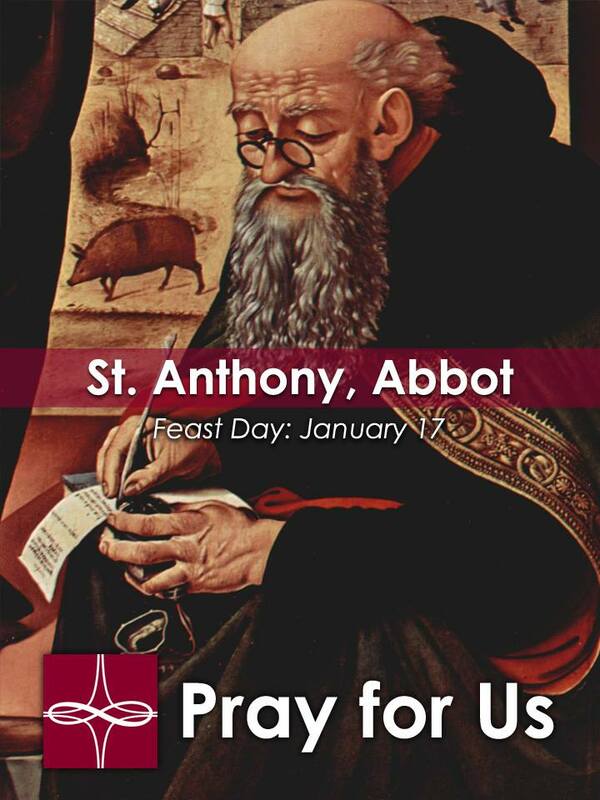 Anthony left civilization as it was known then and went into the wilderness to begin a life of penitence, living in absolute poverty, praying, meditating, and supporting himself by manual work. He suffered many temptations, both physical and spiritual, but he overcame them. As you would expect, disciples found his manner of life and teaching attractive: his wisdom, love, moderation, and holiness. He gave support to the victims of the persecutions of Diocletian, and helping Saint Athanasius in his fight against the Arians. He lived to be over a hundred years old. Since it is impossible to be saved unless we perform our works in accordance with the commandment of God, and since we disregard none of the commandments without peril — for it is a terrible arrogance to set ourselves up as the critics of our Lawgiver, now approving some of his laws, now dismissing others — let us who are combatants for piety and who esteem the life of tranquility and freedom from affairs as our collaborator in the keeping of the Gospel decrees, set before ourselves a common mind and purpose: that not so much of a single one of the commandments escape us. For if the man of God must be perfect — as it is written and as our earlier discourse on these matters has shown — it is entirely necessary that he be pruned. (cf. John 15:1) by every one of the commandments unto the measure of the stature of the fullness of Christ (Eph. 4:13); for according to the divine law a beast with a blemish even though clean, was unacceptable as a sacrifice to God (cf. Lev. 21. 19-20). 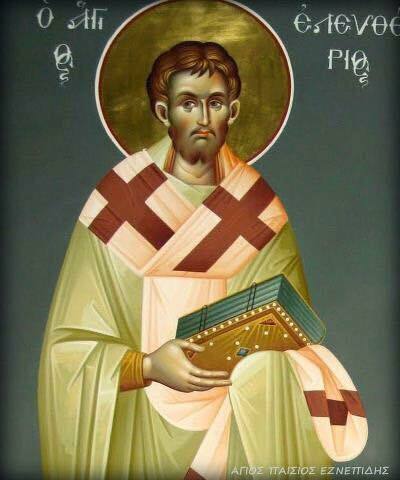 Saint Basil (329/30-379) was the bishop in what is modern Turkey in a city called Casesarea Mazaca in Cappadocia. Basil was attentive the needs of the poor and he is famous for for us rule for monasteries that focussed on the common life, the sacred liturgy and manual labor. Saint Benedict used Basil’s rule as one of a few for his own rule for monasteries. Basil is called the “revealer of heavenly mysteries.” Together with Gregory of Nyssa and Gregory of Nazianzus is known as the Cappadocian Fathers. 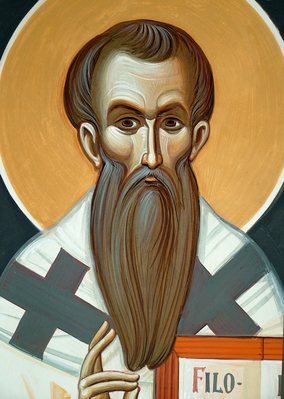 Saint Basil was a firm supporter of the Nicene Creed and fought heresy. Let’s pray for hospital administrators today through the intercession of Saint Basil.